Antidepressants are medications prescribed to treat anxiety and depression. 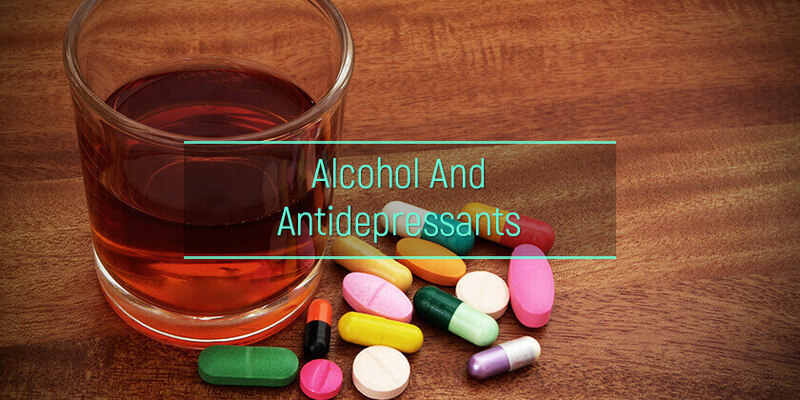 While any type of addiction to drugs and alcohol is dangerous, the specific concern with mixing an antidepressant like Zoloft and alcohol is that it can make depression and anxiety, the very symptoms it is prescribed to treat, much worse. Also, alcohol can increase the side effects associated with these prescription medications. Alcoholic drinks can also interact with certain types of antidepressants and cause dangerous reactions. Let’s find out more about the dangers of mixing alcohol and antidepressants. What are the health effects of alcohol antidepressant combination? What is the statistics on drinking on antidepressant pills? Does the suicide risk increase when antidepressants and alcohol are combined? MAOIs: Monoamine oxidase inhibitors interact with tyramine, a substance present in sherry, wine, and beer. When a person is on an MAOI like Marplan, Azilect, Nardil, or Parnate, mixing antidepressants and alcohol can cause a sudden and dangerous spike in blood pressure. SSRIs: Selective serotonin reuptake inhibitors are generally alcohol safe antidepressants and do not cause too many problems. However, taking the two together can result in excessive drowsiness and lead to potential accidents and injuries. TCAs: Tricyclic antidepressants and alcohol can lead to drowsiness and impaired coordination, especially in the first few weeks of treatment. SNRIs: Serotonin noradrenaline reuptake inhibitors like Cymbalta and alcohol should not be combined because the interaction can cause liver damage. In people who have preexisting liver damage or a long history of heavy drinking, it may lead to worsening of liver disease. In 2016, more than 16 million Americans had at least one major episode of depression. 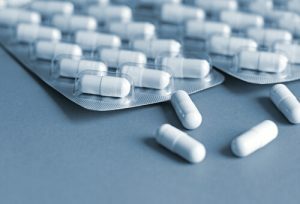 Antidepressant use increased by an astounding 400 percent between 1988 and 2008. There was a 65 percent increase in antidepressant use from 1999 to 2014. The 2015 National Survey on Drug Use and Health (NSDUH) found that more than 86 percent of people in the United States admitted to consuming alcoholic drinks at some point in their lifetime. Data suggests that ethanol dependence is a significant risk factor for the development of major depression and vice versa. A 2010 survey found that nearly 17 percent of adults with substance use disorder in the past year also had a major depressive episode during that same timeframe. This means that nearly 3.5 million Americans in the United States are mixing substances like alcohol and Cymbalta or other antidepressants. A survey on drinking habits and the use of antidepressants found depressed individuals drank more than those without depression. However, it also found that treatment with antidepressants had a beneficial effect and reduced drinking. Individuals with depression have worse outcomes and quicker relapses following treatment for alcoholism. How does alcohol affect antidepressants? What is the relationship between alcohol and SSRIs? The relationship between depression, medications used for its treatment, and alcoholism is complex. Research shows that there is a connection between depression and alcoholism. People who have problems with drinking are more likely to cause self-harm. Binge drinking can lead to depression. Hangovers cause people to feel unwell, jittery, and anxious, leading to problems at work, arguments with family, impaired memory, and poor sexual performance, all of which can lead to depression. On the other hand, some individuals consume alcoholic drinks to relieve anxiety and depression. Either way, whether alcoholic drinks lead to depression or depression leads to the bottle, when someone drinks, there are alterations in brain chemistry leading to an increased risk of depression, which in turn leads to a need for anti-depression medications. The relationship between depression and suicidal ideation has been well established by numerous studies. Depression frequently occurs together with alcoholism for reasons that are not completely understood. This means the use of alcohol with antidepressants is potentially quite common. Yet, antidepressants have been linked to an increased risk of suicidal behavior in children, adolescents, and young adults. Numerous studies have found that alcoholism increases the risk of suicide by up to six times. This puts people who have both depression and alcoholism at a considerably greater risk of suicide. Some people experiment with the effects of alcohol and antidepressants, but this can be hazardous just like the combination of benzodiazepines like Ativan and alcohol is dangerous. The FDA warns against combining antidepressants like Prozac and alcohol. Antidepressants are generally considered non-addictive and safer than benzodiazepines. However, there is evidence that suddenly stopping anti-depression medications can lead to withdrawal symptoms. An overdose of these medications can lead to symptoms such as confusion, fainting, shaking, dizziness, poor coordination, and irregular heartbeat. When combined with alcoholic drinks, the risks become even greater. Both SSRI and alcohol amplify the effects of each other and increase the risk of overdose. People with some type of addiction are more likely to abuse prescription medications, for example, Celexa and alcohol. There are several approaches to treating an individual with an addiction. The sequential approach involves addressing the alcoholism first and then the prescription medication abuse. Trained therapists and addiction experts can advise on the best treatment approach. The important thing to remember is that if SSRIs and alcohol have taken control of one’s life, quitting these substances requires careful monitoring and medical supervision in the specialized facility. AlcoRehab » Why Is It Dangerous To Mix Alcohol And Drugs? » Can You Drink Alcohol While Taking Antidepressants?